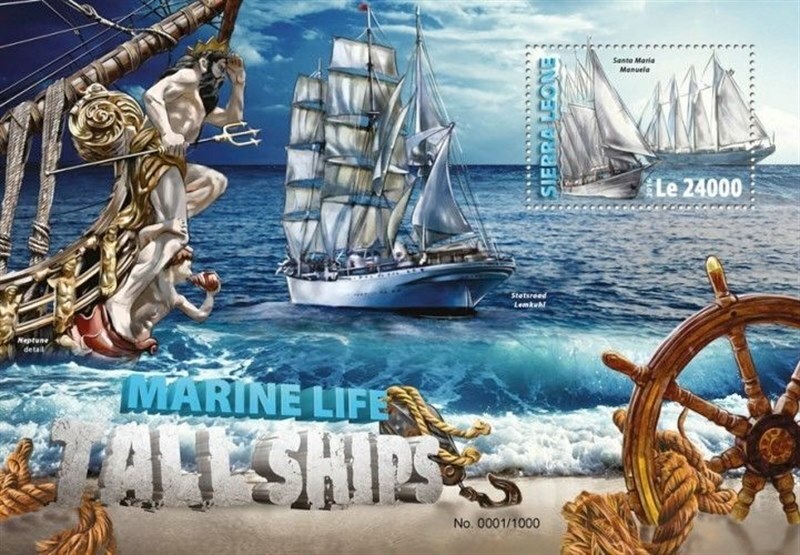 shipstamps.co.uk • View topic - SANTA MARIA MANUELA Tall Ship. Built as a four-mast gaff-topsail schooner, steel hulled fishing vessel under yard No 33 by Cia Uniao Fabril (CUF), Lisbon for Empresa de Pesca de Viana Sarl, Viana do Castelo, Portugal. 1937 Launched as SANTA MARIA MANUELA, three sisters ships. Tonnage 666.1 grt,390.4 net, dim. 57.6 m.length of hull x 9.94 x 5.04m. June 1937 completed, homeport Viana do Castelo. 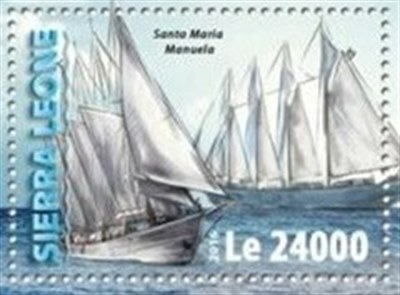 SANTA MARIA MANUELA is a Portuguese four mast lugger. Originally a fishing ship of the Portuguese White Fleet, SANTA MARIA MANUELA is now used as sea training and cruise ship, belonging to Grupo Jerónimo Martins. It is the sister ship of the Portuguese Navy's CREOULA. SANTA MARIA MANUELA was built in the Cia Uniao Fabril (CUF) shipyards at Lisbon in 1937, as a lugre bacalhoeiro (codfish fishing lugger). The similar CREOULA was built in the same shipyards at the same time. Another similar and still existent ship, ARGUS was built in 1938 by the shipyard De Haan & Oerlemans, Heusden, Holland. Since its building and until the late 1980s, SANTA MARIA MANUELA was employed in the codfish fishing in the seas of Newfoundland and Greenland, being one of the ships of the White Fleet (as the Portuguese fishing fleet was known in Newfoundland, because of the white color of most of their ships). The ship was owned by Empresa de Pesca de Viana fishing company, until 1963, when it was sold to Empresa de Pesca Ribau Ltda, Viana do Castelo. During the 1960s, SANTA MARIA MANUELA has undergone several modifications and technological improvements in order to be able to continue in fishing activity..
1968 Fitted out as a motorship with a Burmeister & Wain diesel engine, 380 hp. Powered by a MTU 8-cyl. Engine 500 hp. 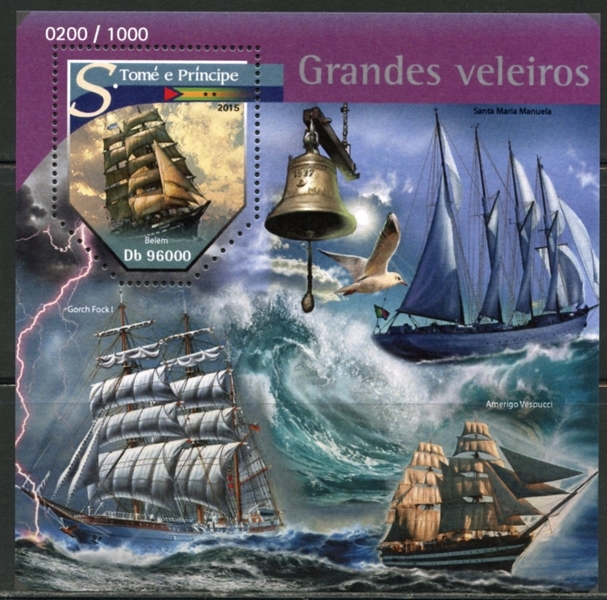 In use as a sail training vessel, homeport Madeira. She took part in the Fete-Maritime-de-Brest-2016 (Tall ships Race) on 19 July 2016. Occasional day cruises are offered for about 50 to 65 paying guests. 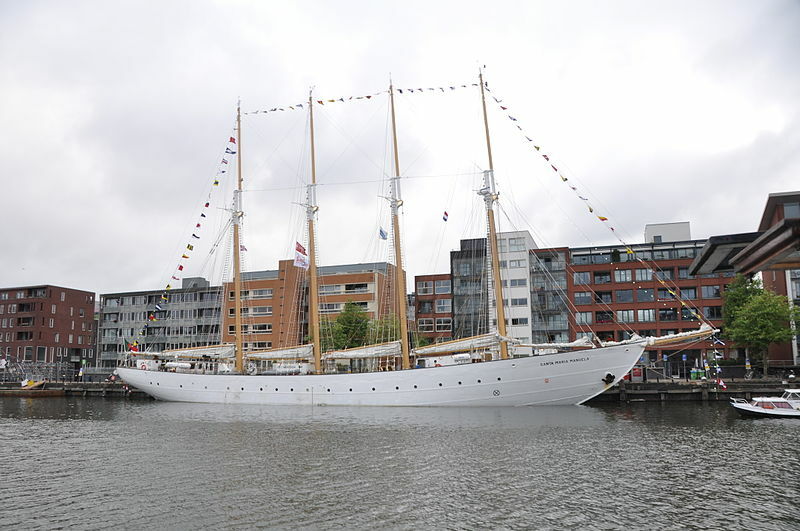 2019 In service, same name and owners, IMO No 5312628.
https://en.wikipedia.org/wiki/Santa_Maria_Manuela De Laatste Grote Zeilschepen by Otmar Schaüffelen. And info received from Mr,Erhard Jung.